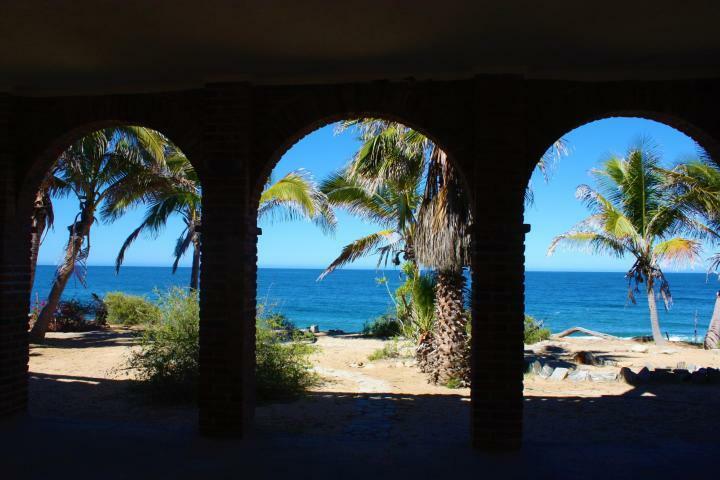 This beautiful beachfront home is in the sustainable and exclusive development known as Rancho Nuevo, which is ten minutes drive from Cerritos Beach. 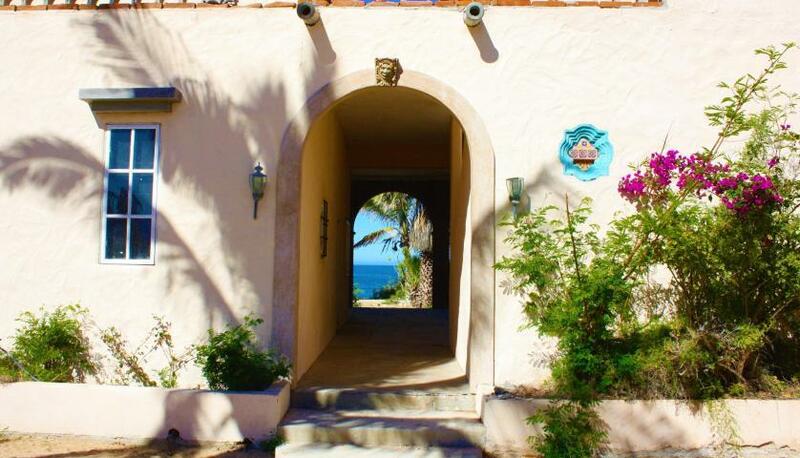 This home is an architectural fusion of Spanish and Moroccan detail. 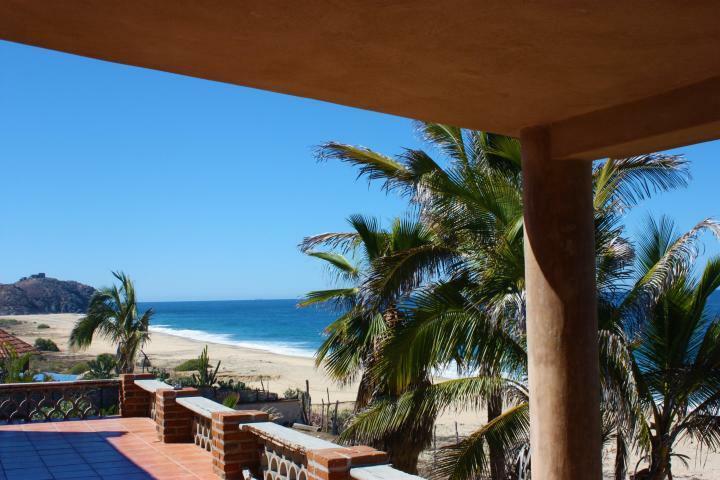 The three bedroom, three bathroom, two story home is perfectly situated to capture the cool ocean breezes as well as 180 degree view of the Pacific. 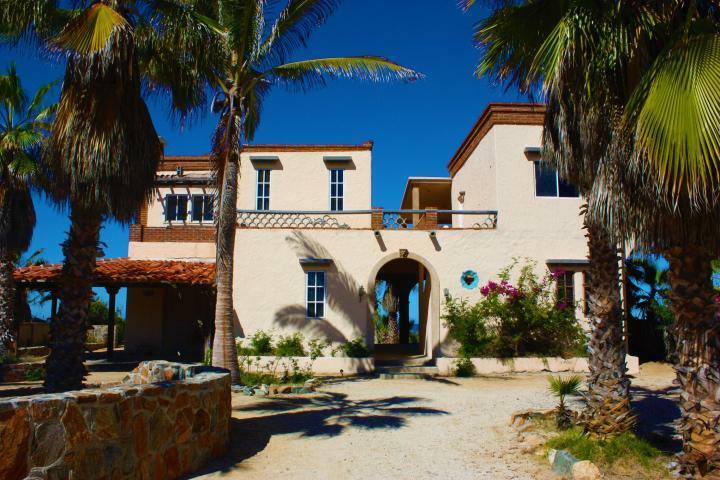 This off-the-grid home is constructed of foam and provides the highest level of insulation. 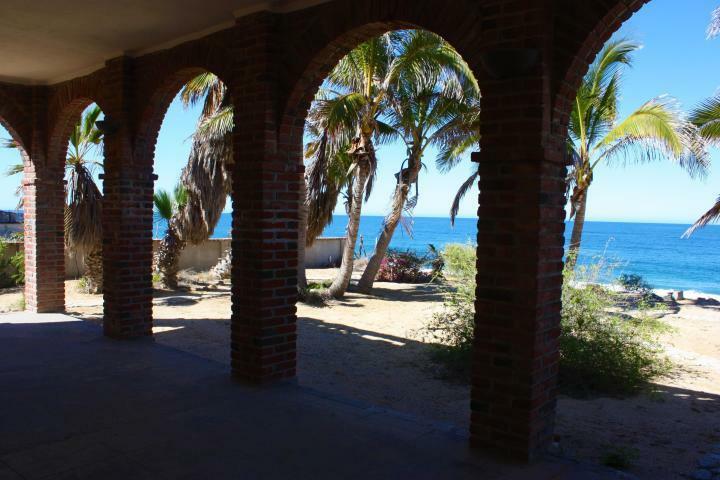 It has weathered several hurricanes with very little damage. 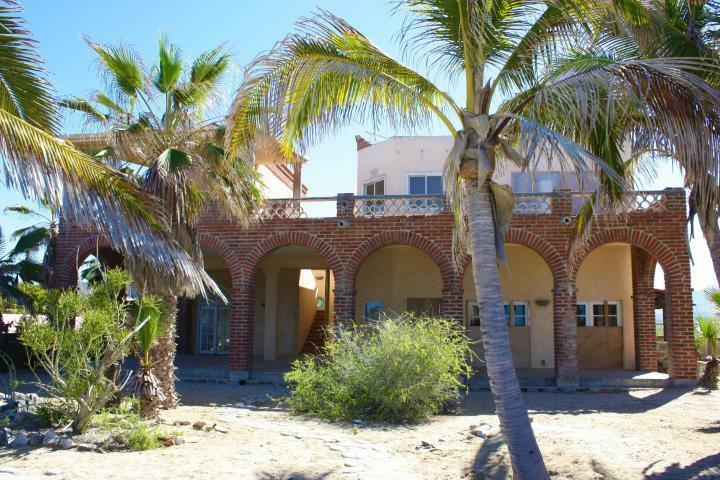 This fixer-upper is ready for you to put your personal stamp. 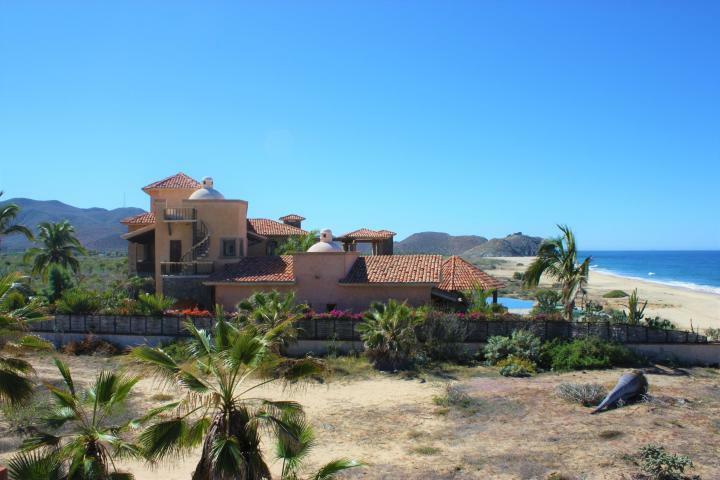 The lot is sufficient for an additional garage, guest casita and pool. 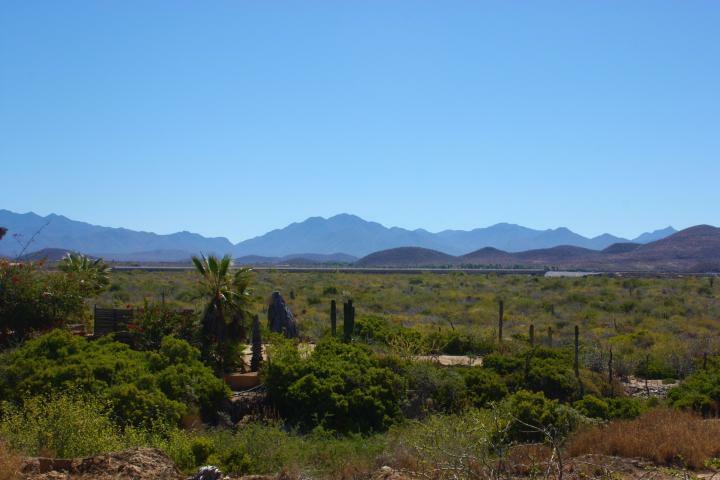 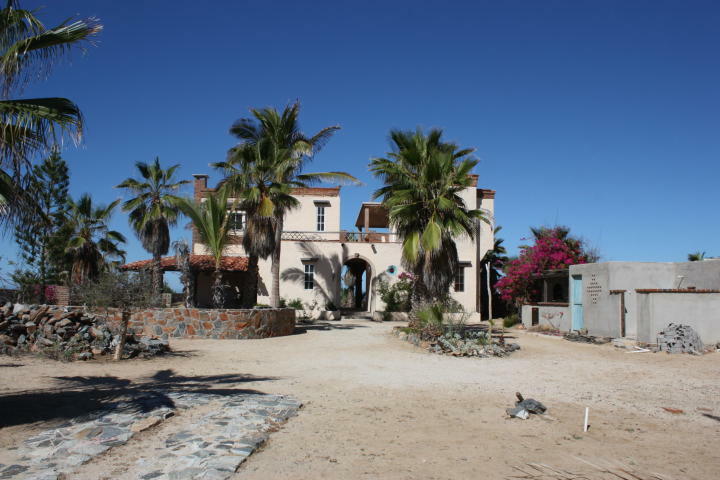 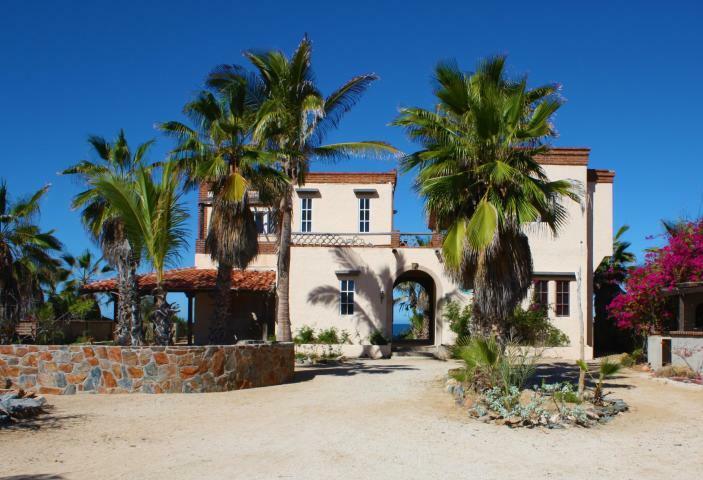 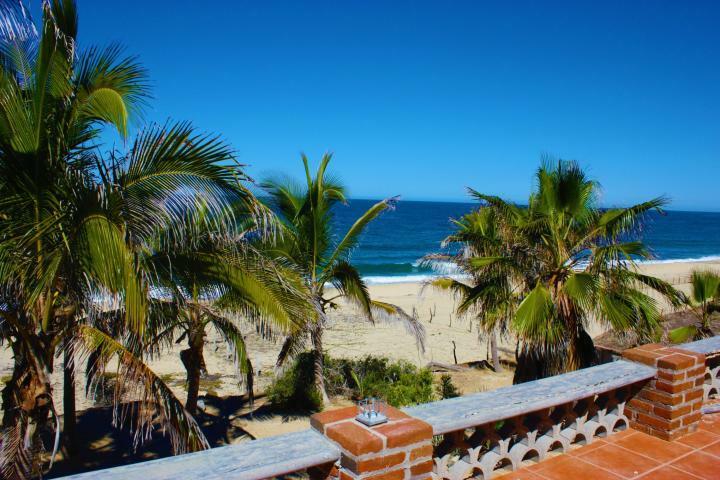 The property is situated overlooking a green arroyo and the Sierra de La Laguna mountains in addition to the Pacific.